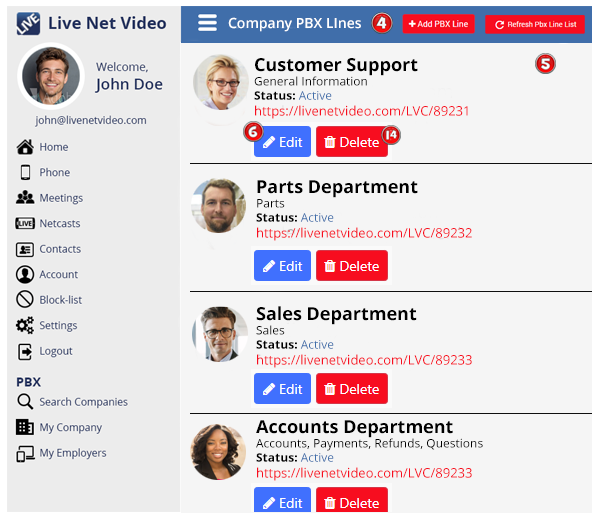 The Company PBX Lines list opens. 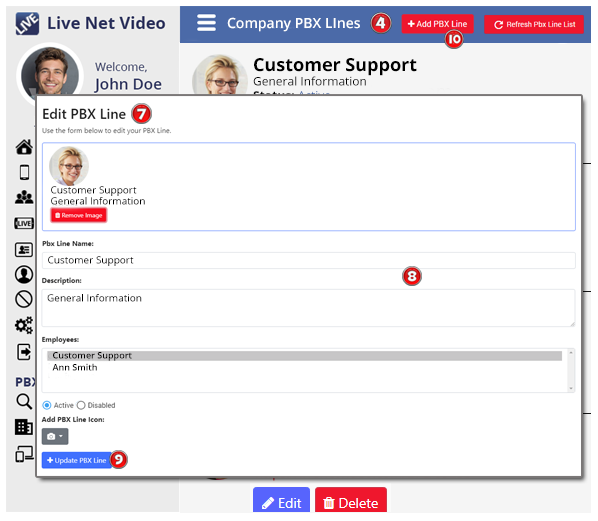 The Company PBX Lines are displayed. 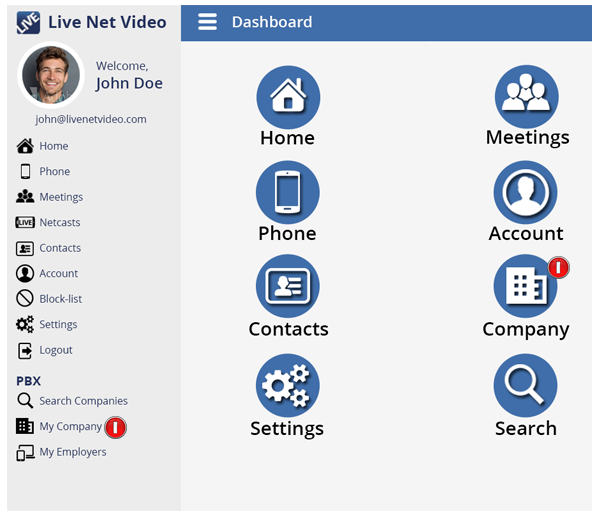 From this list you will be able to view assigned lines, edit, delete and add new PBX lines. If you want to edit a specific PBX line, click on the Edit Button. The Edit Pbx Line form opens. 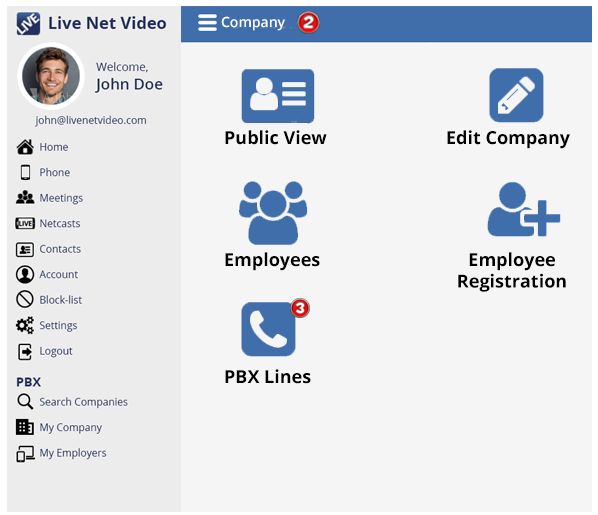 Use this screen to edit the PBX information. Once finished editing the information, click the Update PBX Line. To add a new PBX Line, click the Add PBX Line. The Add a Company PBX LIne form will open. 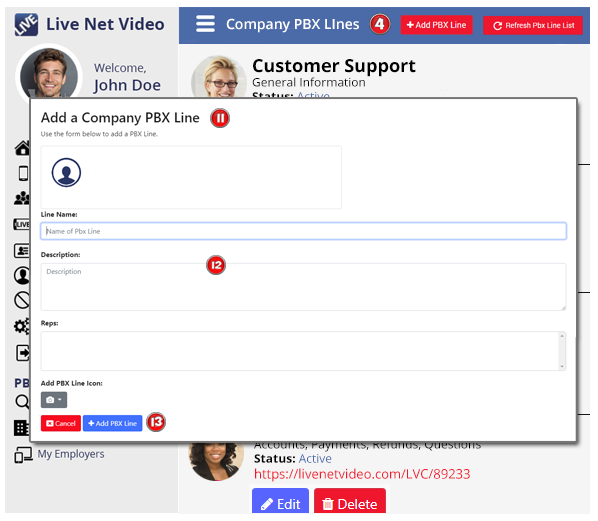 Once you’ve completed filling out the information, click the Add PBX Line Button. To delete a PBX Line, click on the Delete Button.